Our esteemed client can also avail from us an exclusive range of Fusing Machine at competitive prices. 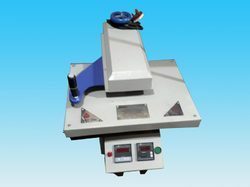 These manual fusing machines are easy to handle and operate. We also provide customized solution to our clients as per their requirement. Our range is widely used in different industries and acknowledged for smooth functionality and high performance. We also provide a qualitative range of Semi Automatic Fusing Machine to our clients as per their requirement. 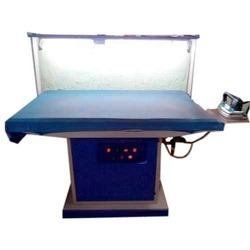 These machines are checked on the various parameters and meet international standards. Our range is available in different specifications, which can also be personalized as per the requirement of our clients. A Hot press is used to permanently apply a heat transfer to a surface . Common transfer types are Heat Transfer Vinyl cut with a Vinyl Cutter, Printable Heat Transfer Vinyl, Inkjet Transfer Paper, Laser Transfer Paper, Plastisol Transfers, and Sublimation. Using a Heat Press to apply a heat transfer is a way to ensure accurate time, temperature, and pressure, which are all essential to the transfer process. 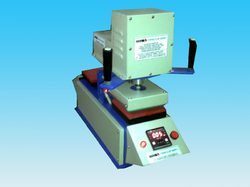 We provide updated design of Manual Fusing Machine that is highly efficacious and renders consistent performance without any wear and tear. It can easily adjust the pressure as per convenience and easy to control and operate. 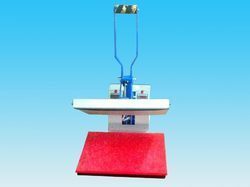 We are the leading manufacturer and supplier for GARMENT PRESSING MACHINE, which is used for finishing process of garments. Finishing process includes heat and pressure with or without steam to remove unintended creases from cloth. Pressing is also called ironing. It is done by the pressing iron into the fabric, then lifting it back up to move across the fabric, then pressing it down again. Looking for Fusing Machines ?